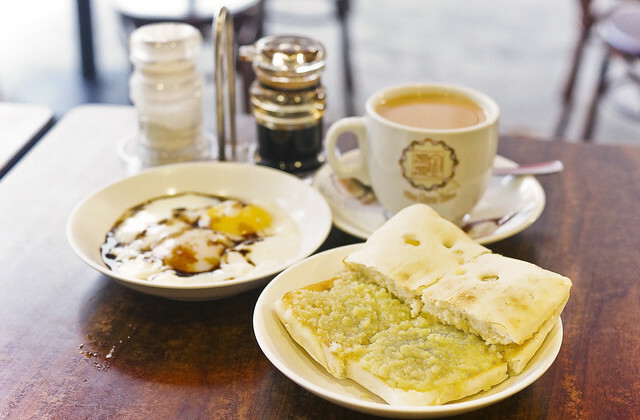 I got to know this less-widely known cafe through a Times article entitled “24 World’s Best-Kept Secret” and i have to agree that Good Morning Nanyang Cafe is indeed a well-kept secret in Singapore. 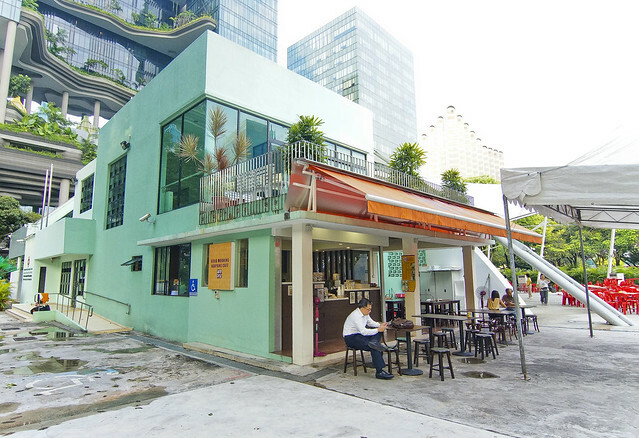 This little cafe tucked at one corner of Telok Ayer Green CC starts their operation as early as 7.00am on weekday. I estimated the timing wrongly and i reached this place at 6.30am! To my surprise, they are already opened and invited me to have a seat and offered to take my drinks order first as the food will only be available from 7.00am. There is an air-conditioned indoor and outdoor dining area which can accommodate not more than fifty people. The menu items that particularly interest me is their orange peel ciabata toast and ciabata toast. 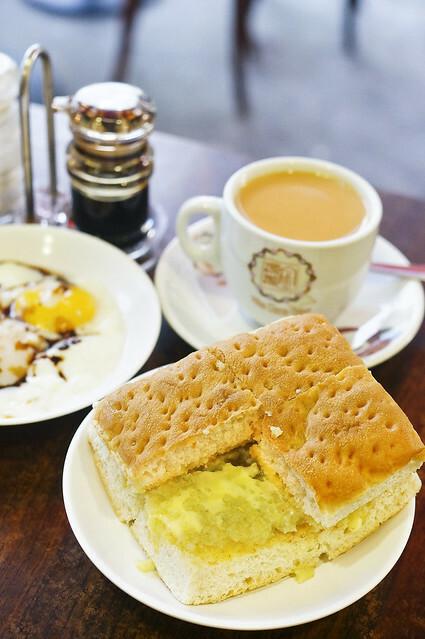 After having it once, this delightful toast immediately became one of my favorite kaya toast in Singapore. First I will talk about the kaya. Good morning nanyang cafe’s kaya is a little unique in the sense that it’s not smooth but rather grainy, which gives a very different and yet delightful texture. I can almost chew on the not-too-sweet kaya custard and i particularly like the kaya for it’s “eggy” taste. It’s like a 70% coconut taste and 30% egg with overflowing pandan fragrance. The butter was melted into the toasted Ciabatta bread. It maintained it’s softness on the inside while it’s really crispy on the outside. 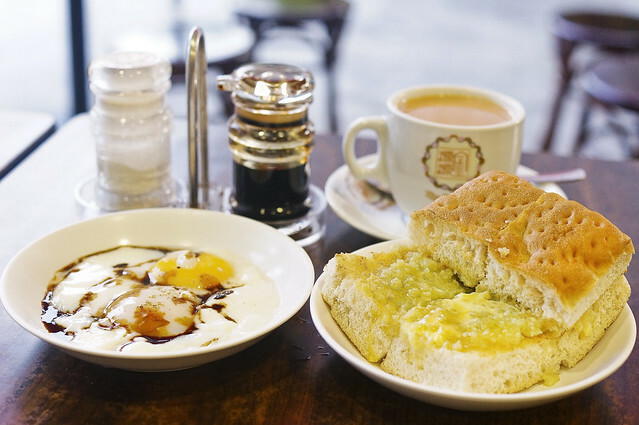 Arguably one of the best kaya toast in Singapore. Basically the kaya, butter and toasting method is the same, just that Good Morning Nanyang use a different bread. The orange peel ciabatta is thinner, with a smoother surface and with orange peel baked into the ciabatta bread. The exterior is not as crispy as the ordinary ciabatta toast and bread gives off a rather unique tinge of orange aroma that I don’t normally find in kaya toast which goes unusually well with kaya and butter. 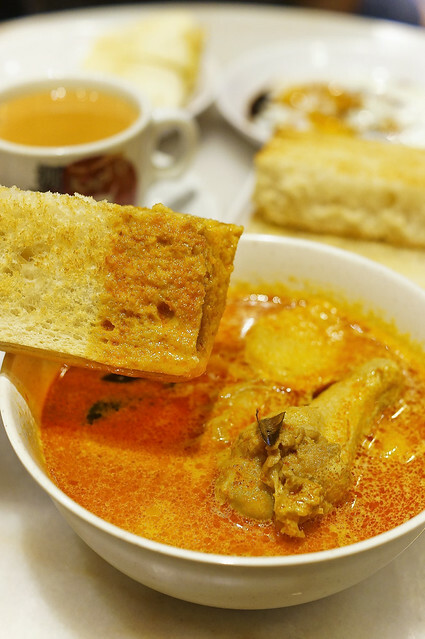 Good Morning Nanyang Cafe also offer lunch items like Curry Chicken, Curry Chee Cheong Fun, Chicken Stew with Rice and pre-packed Nasi Lemak. 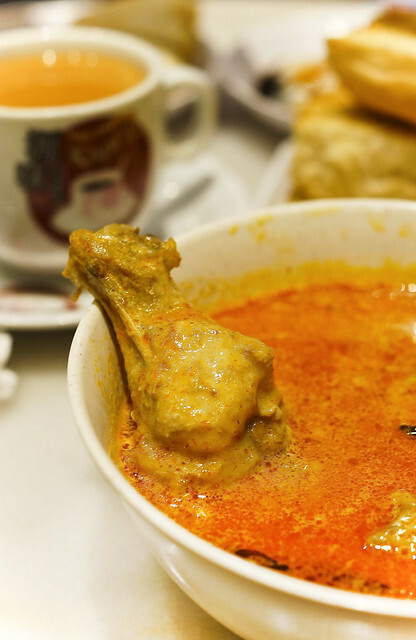 I will often order their Curry Chicken with toasted ciabatta bread if i’m a little hungry. I am not going to elaborate more on the curry chicken. The curry chicken is not fantastic, or heavenly. It’s rather decent. Good enough to complete my meal for the day. But i do like to order their crispy ciabatta instead of white rice to go with their curry chicken. Much better to go with curry than traditional baguette. After trying their toast once, i had already returned to Good Morning Nanyang Cafe for at least seven to eight times since. I also wish to highlight that their soft-boiled eggs are greatly done every time. The staff there are always friendly and made me felt like home. 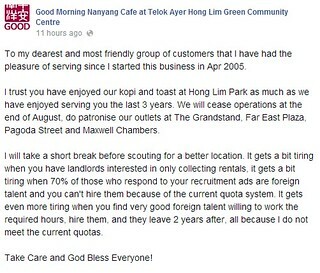 I am always left satisfied when i had my breakfast at Good Morning Nanyang Cafe and i do hope that they can maintain this great service and food standard. It’s too bad that they will be closed by dinner time. The only alternative is for me to visit their franchised branch at Chinatown. Although the toast ciabatta is not as crispy, i am glad that the rest tasted as good.